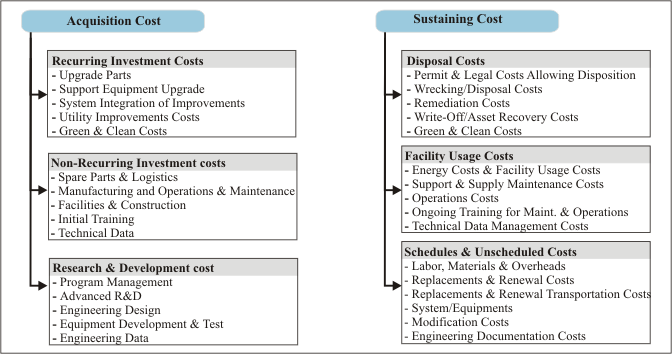 Life-cycle costing (LCC) is a technique for estimating the total cost of ownership of an asset over its lifetime which assists the decision makers to make more informed decisions with respect to the acquisition and management of assets. As an asset management tool, LCC can be applied at any stage in the life of an asset at the initial planning stage, through budgeting to source selection, in-service management and at disposal and should therefore needs to be tailored to reflect the requirements of the relevant decision-makers. The LCC assumes importance in case of the defence equipment, which once inducted, is exploited over a very long period of time and the cost of operating and maintaining it, is invariably two to three times the cost of initial acquisition. Procurement of defence equipments entails huge expenditure of scarce national resources especially when it comes to buying of some major and updated technology. Over a period of time it has been established that in the case of procurement of major platforms, the sustenance costs work out to be much higher than the one-time acquisition cost of these systems and in many cases, equipment that seemed to be the cheapest in terms of the initial capital cost turned out to be more expensive over an operational lifetime. The concept of LCC originated and was first adopted by the United States in 1960s and today several countries - United Kingdom (UK), Australia to name a few and now India also are following this concept. 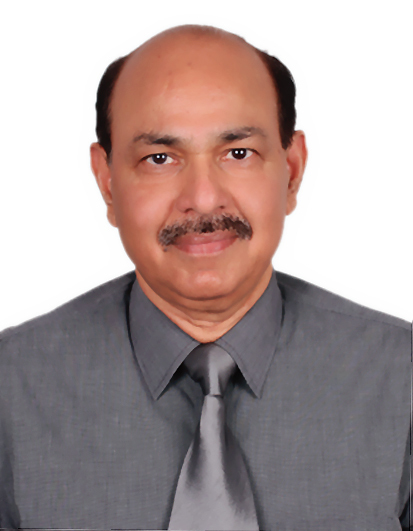 However, as far as India is concerned this concept is still at a nascent stage. Purchasing costs and all associated costs such as delivery, installation, commissioning and insurance. Operating costs, including utility costs such as energy and water use and maintenance costs. End-of-life costs such as removal, recycling or refurbishment and decommissioning. Longevity and warranty time frames of the asset. Acquisition and sustaining costs are not mutually exclusive. 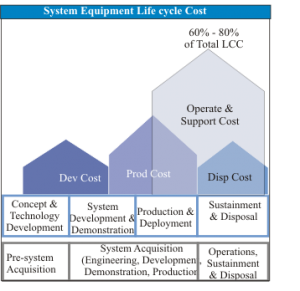 Compared to sustaining costs, procurement costs can be readily evaluated since it is often a major component of LCC and it is visible. While the disposal costs may or may not be significant costs depending on the industry. Fig. above depicts a typical distribution of LCC of a combat aircraft, where the overall operational & Logistics cost goes up to 72 % while the acquisition cost is only 28%. The initial cost of purchasing the main equipment constitutes a mere 20-30 per cent of the total cost of purchase, while the remaining 70-80 per cent is required for effective sustenance of the equipment, by way of expenditure required for spares, workforce, training, inspection, etc., for the equipment held. 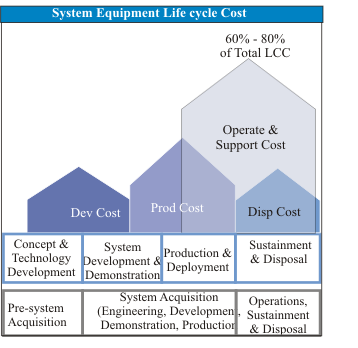 A graphical representation of LCC is shown in System Equipment LCC, which highlights that the operational & logistics cost depend as to how a particular platform is developed and hence the overall cost must be taken into account at the planning stage itself. The acquisition cost includes R&D, Recurring investment and non-recurring investment costs, while the sustaining cost includes scheduled & non scheduled, facility usage and disposal costs. 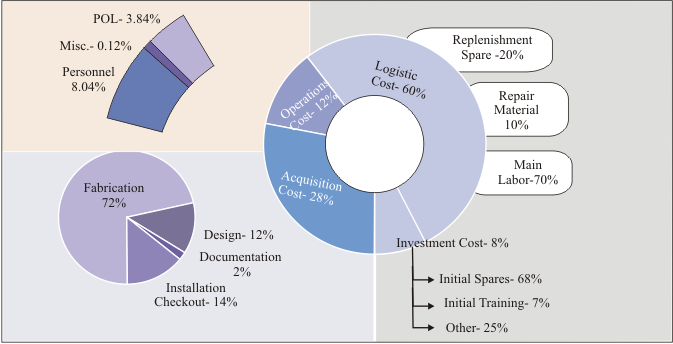 The concept of acquisition and sustaining costs is shown in the fig above. A large number of additional factors, specific to each type of equipment; need to be included to work out the realistic total cost. Table below shows cost over five years only and depicts the Sample Matrix which is just an indicative one and not comprehensive. As all major military systems have a service life of over 20 years, Life Cycle Cost has to be worked out by adding annual cost of ownership over the entire estimated service life of the equipment. Fig below depicts that the logistics increases almost 10 times over 5 years whereas the operating cost remains almost the same. A cost estimates based on a Life-Cycle Cost Framework developed by one of the independent international private sector consulting firm for acquiring 65 F-35A aircraft is depicted in table. It shows that once the longer period is applied, the new estimated cost for development, acquisition, sustainment and operating, and disposal of the fleet the cost almost doubles, as the longer program life-cycle period of 30 years accounts for the vast majority of the cost increase over the originally reported estimate. Figs 5 & 6 are a graphical distribution of life cycle cost for 20 years and 30 years respectively is depicted in Fig . For India to become a cost-effective manufacturing location, the daunting cost of future combat systems makes it essential to address the “life cycle” aspects of the defence acquisition process. The practice of procurement based only on Lowest (L1) vendor in acquisition cost is intrinsically flawed as unless the cost of owning a capability for the defined life is compared, true difference in the costs of various options will not emerge. The MoD has been so far used to short list the winner based on cheapest off-the-shelf price, however, over the years they have realized that it is very expensive to often maintain the cheapest product. Equipment acquisition and in-service EM are under different departments resulting into fragmented accountability. 'Sustainment Needs' do not share the centre stage with the performance requirements, at the time of procurements. The equipment management has a decisive impact on our combat preparedness and thus it has to be distinct from other logistic activities. Most significant are poor data quality coupled with a lack of LCC expertise and knowledge. While our LCC model is still being formulated, two high value cases of IAF based on LCC model the MMRCA & Pilatus deal are under scrutiny due to flawed calculations. The details are as follows. The purchase of seventy-five trainer aircraft from Swiss company Pilatus in May 2011 was based on LCC. This was the first tender based on LCC which instructed all vendors to specify the costs of buying, maintaining and flying their respective aircraft over a 30-year service life and the “L1 vendor” would be the company whose trainer had the lowest LCC. Pilatus was declared L1 vendor based on its declared LCC of Rs 4,160 crore. 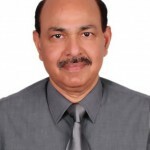 After the detailed calculations, the MoD has pointed out that 88 per cent of the acquisition cost over 30 years will be incurred in just seven years because of “inbuilt flaws” in the commercial bid, as nine components, now part of an IAF proposal to pay Pilatus under the maintenance head, were not calculated during the request for proposal (RFP) stage before declaring it the lowest bidder. Indian Air Force (IAF) has proposed Rs 507 crore to be paid to Pilatus for a “Follow on Support Contract” (FOSC) to cover repair and maintenance over the five years that follow the initial two-year warranty period, which is said to be three times of repairs and maintenance cost presumed at the time of L1 evaluation. Numerous other expenses being included now in the FOSC are supply chain administration, publication updates, etc which were not factored into TCA (total cost of acquisition). Recently, the DAC cleared a proposal for the purchase of an additional 38 Pilatus, but a rider has been imposed i.e. purchase will be subject to examination of LCC issues by MoD finance and subsequently by Ministry of Finance at appropriate stages. Pilatus is not the only major contract in the firing line. A similar model was followed to declare Dassault the lowest bidder in the proposed $18-20 billion purchase of 126 medium multi-role combat aircraft (MMRCA). The tender for MMRCA was also based on LCC, which meant that the chosen fighter would be cheaper to buy, fly, maintain and overhaul over its 30-40 year service life. Dassault was the winner of the MMRCA tender through a two-stage process. In the first stage the IAF ruled out in April, 2011 four of the six competing fighters, Boeing's F/A-18E/F Super Hornet; Lockheed Martin's F-16IN Super Viper; Saab's Gripen NG, and the Russian MiG-35 as they could not meet the performance requirements. In the second stage, the commercial bids of the remaining two vendors Dassault's Rafale, and the Eurofighter Typhoon were compared on a “life cycle basis” to select the lower bidder. In January, 2012, the Rafale became the cheaper of the two options, however, after 3 years it has been reported that former's bid was actually higher than the later and not as announced by the MoD. Dassault apparently had initially submitted a sketchy commercial bid and when the clear figures were obtained from them, it has been reported that India would be paying significantly more than what was calculated initially. Since India had no earlier experience of LCC technique, sketchy details provided by Dassault, had incorrectly adjudged the Rafale cheaper. India has been acquiring weapon systems and platforms till very recently without due diligence to sustenance of the system through its lifecycle, resulting in low equipment serviceability and even worse impacting mission reliability, after the expiry of warranty periods. For example, management of weapon systems such as Tank T-72, Smerch and OSA AK procured ex-import has become a liability on account of poor mission reliability and sub-optimal serviceability and non-availability of spares, rotables and MUAs such as power packs, transmission assemblies, control systems has aggravated the present situation as the OEM have shut down assembly lines and moved on to a higher technology threshold. Leveraging sustainment through acquisition by adopting a Total Life Cycle Costing (TLCC) approach coupled with Performance Based Logistics (PBL) and exploiting the provisions of DPP towards sustenance will not only ensure cost effectiveness but also conserve capability. Upgrades/ modifications during the life cycle should form part of LCC. While adequate provisions exist in the prevalent DPP 2013 to address issues relating to sustenance and adequate linkages exist between acquisition and sustenance, however, these are not being followed through the acquisition process. There is a need for a comprehensive analysis and review of the present system for equipment sustainment to make it responsive to operational imperatives and to establish clear linkages between acquisition and sustenance. A clearly-defined policy would strengthen the hands of the acquisition managers, when they are faced with a situation where the choice is between a vendor, who is the lowest bidder on the basis of direct cost and another vendor, who is the lowest on the basis of the life cycle cost. RFP format for LCC needs to be re-visited and made clearer on a number of aspects like specific items where various cost elements quoted by the vendor would be binding on him. The concept of LCC is being taught at the College of Defence Management for decades; probably what is lacking is acceptance at the right level.